Ive been seeing Dr. Epstein since i was 18 (so almost 10 years now). I wouldnt trust anyone else with myOB/GYN care, he answers all of my questions truthfully. He also genuinely remembers my history and other health issues which makes it easier to manage my needs from his office. Ive been seeing Dr. Epstein since i was 18 (so almost 10 years now). I wouldnt trust anyone else with my OB/GYN care, he answers all of my questions truthfully. Healso genuinely remembers my history and other health issues which makes it easier to manage my needs from his office. I first met him for an emergency surgery while in the ER, he was absolutely wonderful! His bedside manor, calming demeanor,and true caring nature sold me. I am grateful that I was under his care and I would not hesitate one second to recommend him to anyone! I first met him for an emergency surgery while in the ER, he was absolutely wonderful! His bedside manor, calming demeanor, and true caring nature sold me. I am grateful thatI was under his care and I would not hesitate one second to recommend him to anyone! *NOTE: Dr. Epstein does not see patients under 18 years of age* Dr. Roy Epstein is a considerate and diligent OB-GYN based in Reading, MA. Dr. Epstein earned his medical degree from the Università degli Studi di Roma 'La Sapienza'. He completed his internship in obstetrics and gynecology at Coney Island Hospital. He continued his training by completing a residency in obstetrics and gynecology at Maimonides Medical Center. 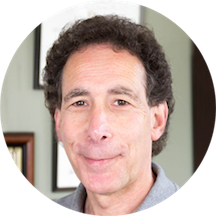 Dr. Epstein is board certified in obstetrics and gynecology by the American Board of Obstetrics and Gynecology and is affiliated with Melrose-Wakefield Hospital in Melrose, MA. He currently practices at Tufts MC Community Care - Reading OBGYN. Dr. Epstein’s areas of special interest include in-office hysteroscopic surgery and laparoscopy. He treats a range of conditions, and he is eager to help the wider community receive the care they deserve. He’s pretty good and very experienced. It was my 1st visit to Dr. Epstein, and it was great. Dr. Roy He is really familiar with the exam. During the exam he knows how it makes me feel so he gave me hint at right moment which is very useful. And he's really patient, kind, funny person. Even my firstlanguage is chinese he's still very concentrated and knowing exactly what I want to express. Not only him but also all the team are very friendly, patient, considerable. That's why I recommend Dr. Roy! I think I can depend on him. Dr. Roy is a knowledgeable doctor with good bedside-manner. He's also pretty darn funny, too. Oh! And he called me to answer questions I had! Yeah, I emailed him and he actually called me. Like, who does that anymore?! If I could give Dr. Epstein 10 stars, I would. His phenomenal bedside manner and professionalism are the best I have seen in my entire life. He is very knowledgeable and will answer any questions you have, take the time tolisten to your concerns and if you are a big wuss like me, will make you feel very much at ease. Same goes for the office staff, very warm, welcoming people. I cannot recommend him enough! Great great great!! Dr Epstein is a caring and efficient Doctor. He has a wonderful, funny manner. From the front desk to the nurses and assistance, everything about this office make me feel comfortable and at ease. I highly recommend them to anyone in need of care. Fantastic experience. I was overly impressed with Dr Epstein and his office. He took the time to get to know me and understand my history and questions and concerns. He made sure I was well informed of what he was doing and whatthe results were. Everyone else in the office was very friendly and helpful too. I didn't know that doctors like this still existed these days. I'd highly recommend Dr. Epstein to anyone. He's been my OBGYN for a few years now and has been great ! Extremely professional, very attentive, very good listener, gives great recomendations, super Doctor! I was very happy with such a friendly and sweet staff at the office and with my Doctor! Highly recommend to all women! Will be back definetely! I had a great experience! Dr. Epstein is very personable and knowledgable. I felt very comfortable talking to him! Would definitely recommend! Very informitive, not a long wait, answered all my questions. I found everyone to be kind, informative, and very professional. I'm really happy with our choice!